Nicki is the epitome of mogul, business, talent, fashion and the list goes on. Who better to kick off the week with than our girl, Nicki. With her pink swagger, sleek hair, barbie, make up, and bright fashions; Nicki is the perfect interior decorating palette. 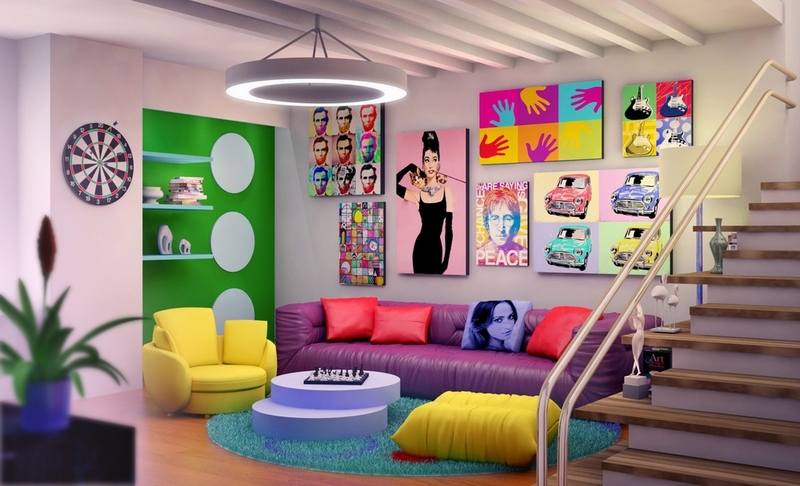 Nicki's style and persona match the interior decor styles of what I call MODERN POP and simply MODERN. Yes, I had to fuse the styles. Nicki's style is complex and very different. She is not set in stone at all and is very flexible. She goes from blonde and pink hair to long black tresses. She goes from a sleek white gown to colorful modern fare. Nicki is an innovator and represents the future of women as a force in our nation! Go NICKI!!! "To achieve the Modern POP Art look: Start with a neutral color scheme, then wow a living room with a dose if unexpected pink art and freshly upholstered antique chairs!" Wanted to have some fun when I chose modern designs. Nicki's style and music represents fun, so... why not a pink kitchen or a kitchen so funky, so futuristic that it don't even look like one, SAY What! Last, but not least a huge master suite for a Queen with a huge bed, lighting galore, and a sunken living room area.